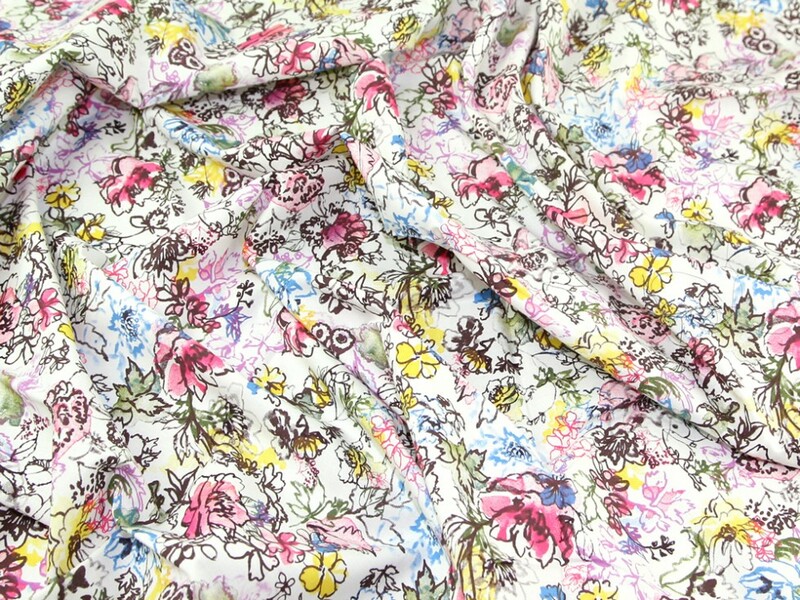 The print of this fabric is aptly named messy floral. The design looks like it has been drawn out quickly and filled with pools of colour strategically placed within the design. The end result is a very striking and original floral print that is sure to bring a splash of colour to your summer wardrobe. 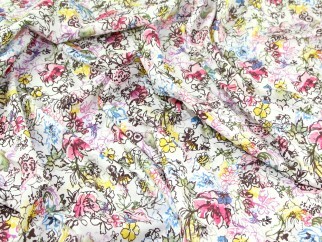 The fabric is a cotton lawn which is beautifully soft and silky and would be perfect for summer tops, skirts and dresses.